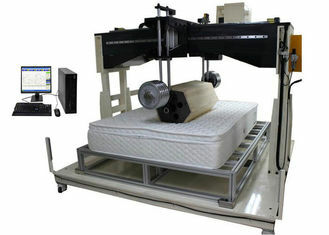 Mattress Rolling Machine uses cylindrical or hexagonal load roller to apply repeated load on parts of the test of the horizontal mattress, to test the bearing capacity of a mattress on the long-term repeated loading; and adopt 355mm diameter disc to pressure three points on the mattress to determine the hardness of mattress. Test purpose: Using a horizontal hexagonal wooden drum roll or cylinder (both ends of the diameter of 250 mm, the middle part of the 300 mm), rolling back and forth on the mattress, simulate human motion to assess the durability of the mattress. 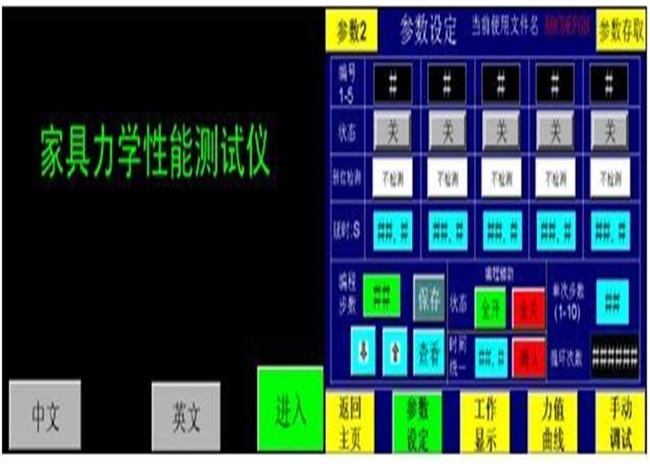 The LCD Touch Screen display provides easy control and setting. 1. Elegant appearance, all hidden wiring, greatly improving the security against the risk of leakage and any power system. 2. Gantry mechanical structure, the use of high-precision servo motor, increase the useful life and accuracy of test data. 4. Edge load module through the servo motor to drive load pad free movement up and down, using the load block+linear sliding bearing free load, linear bearings rolling friction (friction coefficient: 0.002), ensure the accuracy of loading force to meet with standard requirements. 6. 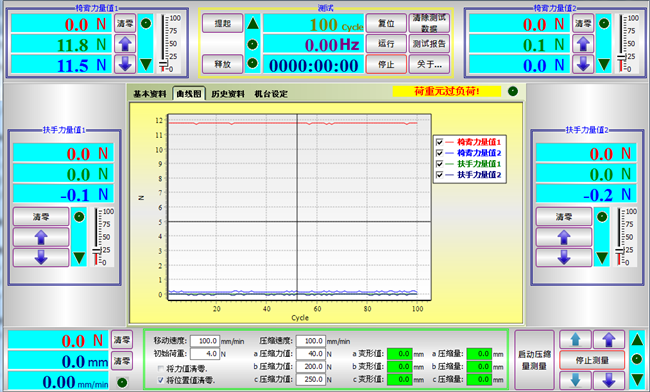 Adopt Gaoge intelligent software, operation control is easy,test program will be auto-completed, and display the specimen hardness value(h), hardness level(hs), and record the operation state.